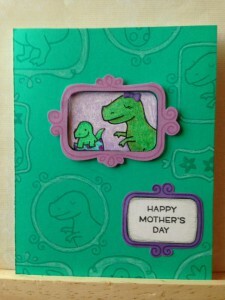 I know I am a bit early for Mother’s Day, but I had an idea and had to run with it. 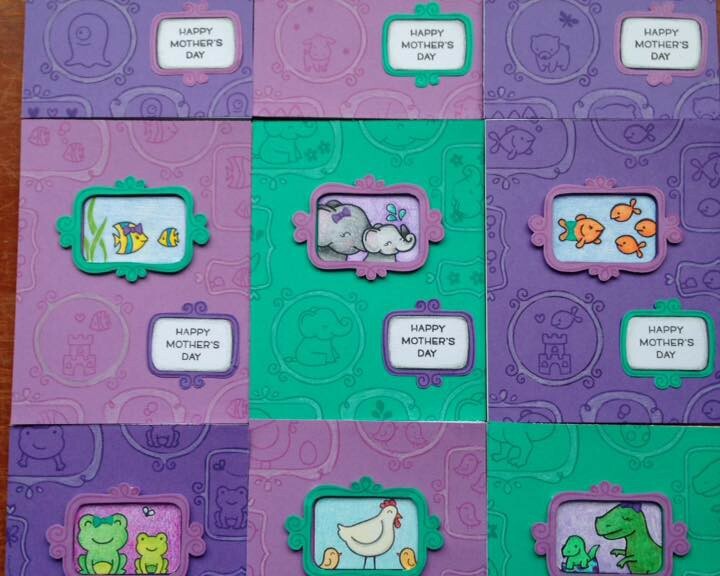 I made a set of mother’s day cards. 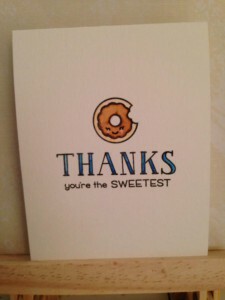 I plan on sending them to all the mothers in my life; mom, mom in law, grandmothers, aunts, and friends. 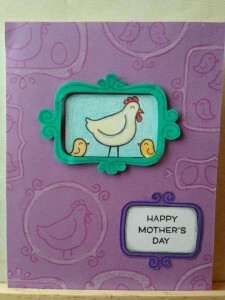 I used a variety of critters so that each mom in my life can have one of her favorite critters. 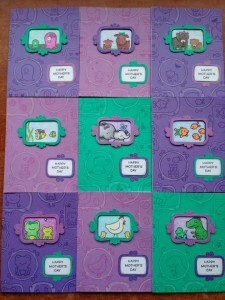 Extra Details: I began each card by creating the colored panel for each card. 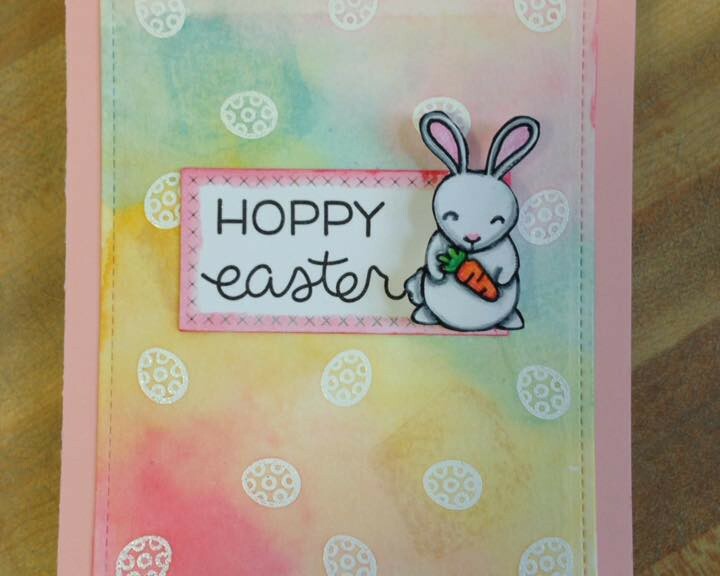 I used three different card stocks and inks. 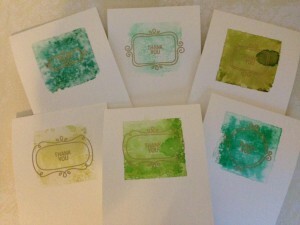 I stamped the frames in a matching ink to achieve a tone on tone look. I colored the frame in with a white colored pencil for some interest. I used a grey pencil on one of the panels as an experiment. I didn’t like the way it looked, so I stuck to white for the rest of the panels. 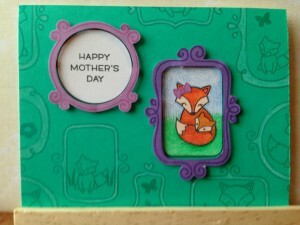 I stamped one of the larger frames 12 times on some white card stock and filled each with some critters. I used colored pencils to color all the scenes in. I fussy cut each scene out and glued it to the colored panel. I did the same with a smaller frames and the sentiment. Using the coordinating inks, I added some simple scenes to the frames on each panel. 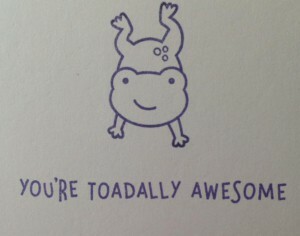 I felt that this helped to make the card for interesting to look at. 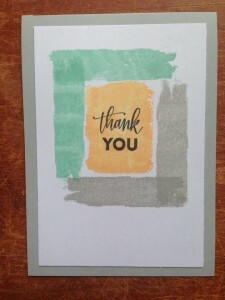 I decided my cards needed some dimension, so I stamped the larger frames on some scraps of the colored card stock with the matching inks. I fussy cut the frames out; making sure to cut out the inside as well. I adhered these to the colored panels with some foam squares. I mixed the colors up for interest. 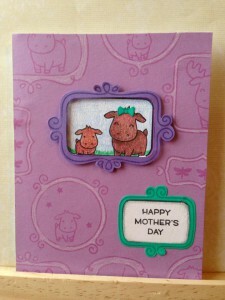 I did the same for the smaller frames that hold the sentiments. I stamped and fussy cut the bows that I adhered to the heads of the larger critter form the same colors of cardstock. 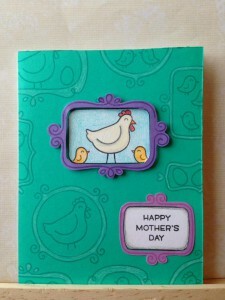 I adhered each panel to a white card base. 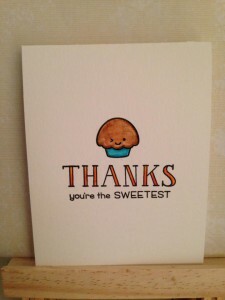 Using the ink that matching the color of the panel, I stamped a sentiment and a small critter on the inside of the card. I love this detail. 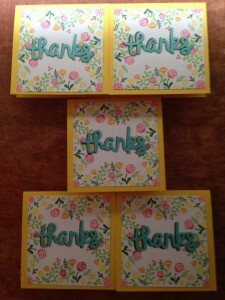 I needed some Thank You cards, so I created this set. 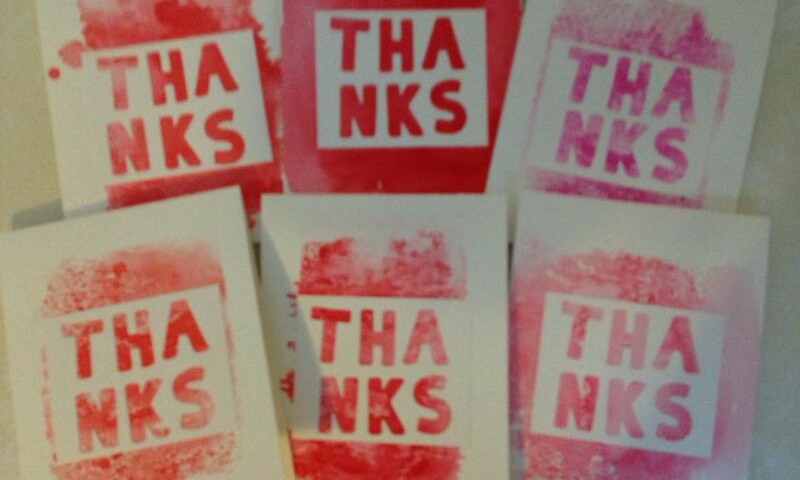 It was fun pulling out an older stamp set I haven’t used in a while. 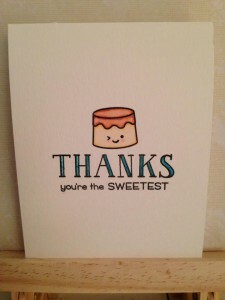 Extra Details: I began with 4 x 4 inch square of white card stock. 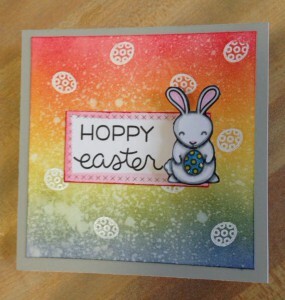 I used a Misti stamping tool to help me stamp all of the smaller images in the different colors of ink. 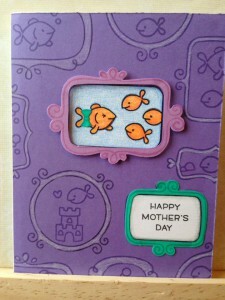 I used my Stitched Rectangle dies to trim the white panels down. Because of this, the panels didn’t all turn out exactly square but I’m ok with that. 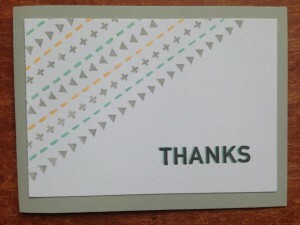 I die cut the scripy thanks from dark grey and aqua card stock. I adhered the two words to the while panels. I offset the aqua color thanks just slightly to give it a small grey shadow. 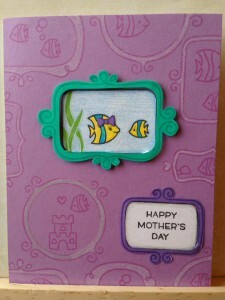 I used Wink of Stella to add some glitter to the aqua die cuts. Lastly, I adhered the white panels on to a square yellow card bases. This is a set of cards I made as a gift for Christmas. 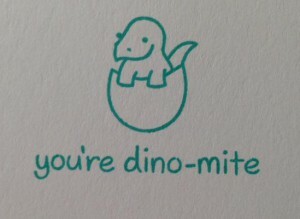 The ink on these cards didn’t smoosh as well as I expected. However, they still turned out beautiful. 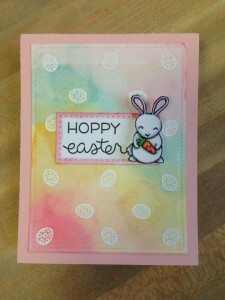 Extra Details: I began these cards by creating A2 card bases from some water color paper. 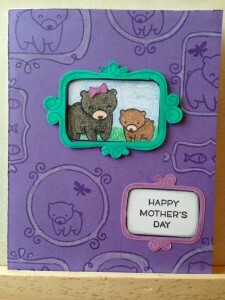 I used an acrylic block and purple Distress Inks to create all of the backgrounds. I used the smooshing technique. 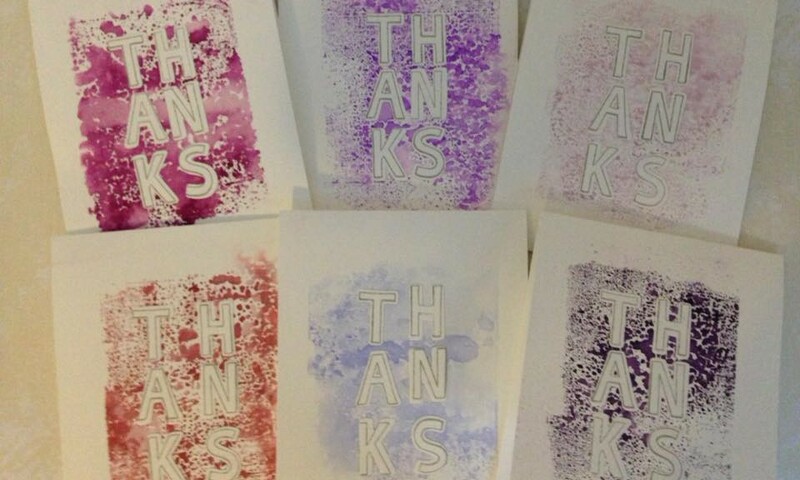 While the ink was drying, I die cut the letters for Thanks from a scrap of water color paper. 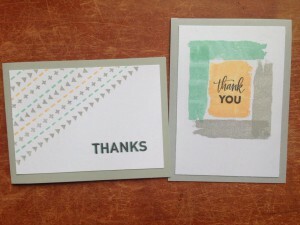 I stamped the outlines of the letter on the die cuts in grey ink. 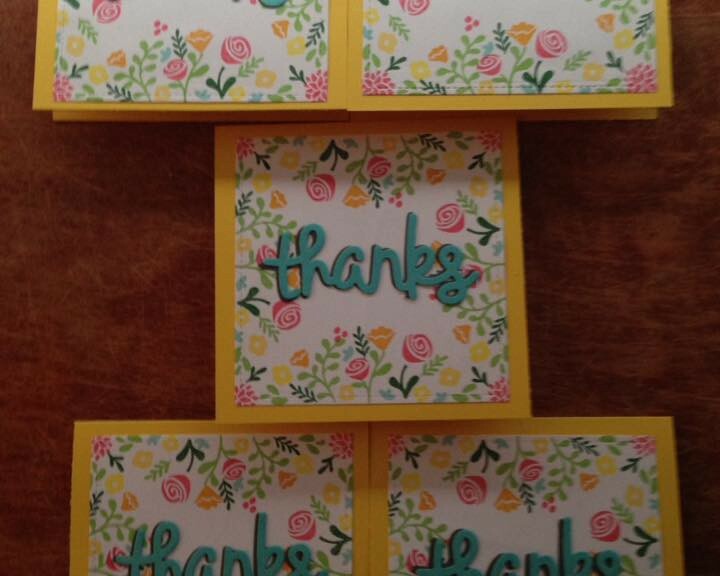 Once the backgrounds were dry, I adhered the die cut letter to the card front in a rectangle–ish shape. 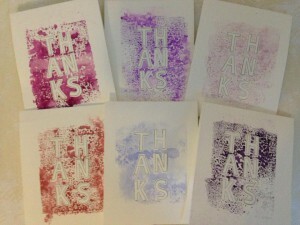 This is a set of thank you cards I made as a Christmas gift for a friend. This idea worked out so well. 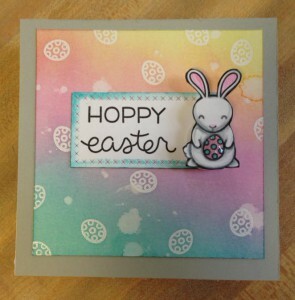 Extra Details: I began these cards by creating some card bases from smooth white card stock. Then, I die cut a Scripty thanks die from some Post – It Notes. I used these as masks. I placed one mask on each card front. 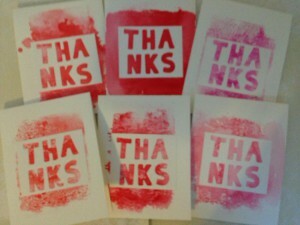 Then I began stamping. 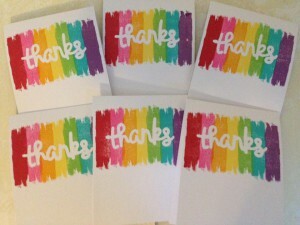 I used seven different colors of ink to create my rainbow. I overlapped the colors just a little to make the word really easy to read. 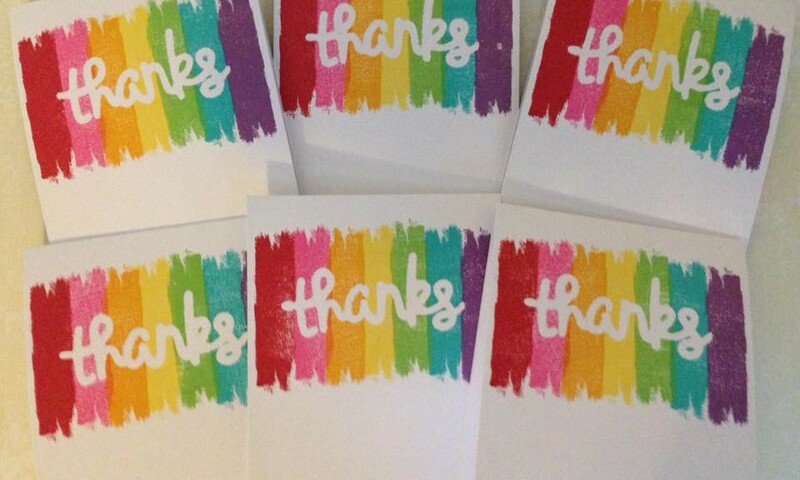 I also turned the stamp 90 degrees when I changed colors. 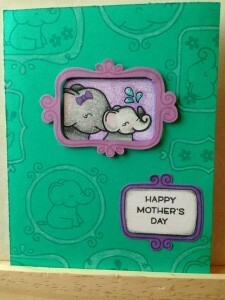 Once I was done stamping, I removed the masks and had these beautiful cards. This is a set of cards I made as a Christmas gift. I love green and gold together. 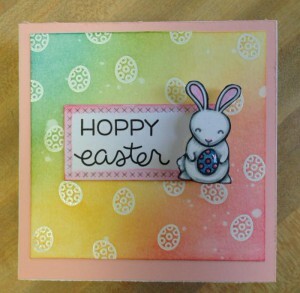 Extra Details: I began these cards by making card bases from some water color paper. 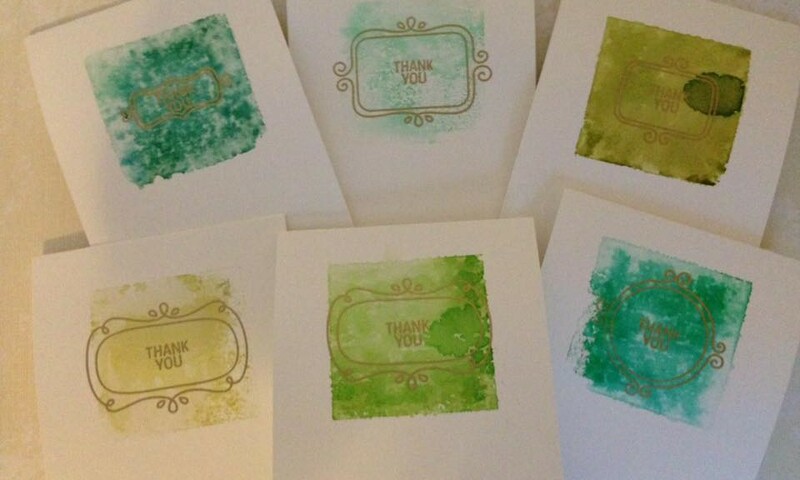 I used a small square acrylic block and six different green shade of Distress Ink to create the backgrounds. 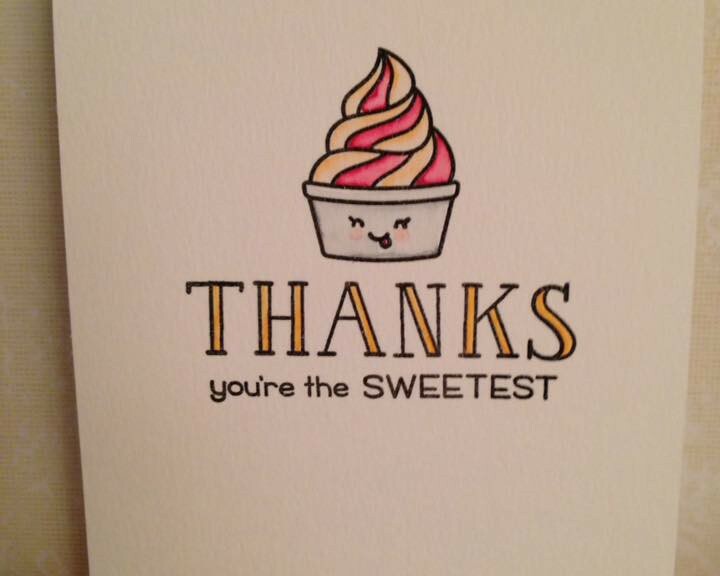 I smooshed the ink on the block, sprayed it with water and press it down on the card front. I let the block sit for about 5 minutes before I removed it to intensify the color. 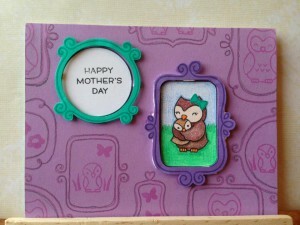 Once the Distress Ink was dry, I stamped and gold embossed the frames and sentiments. 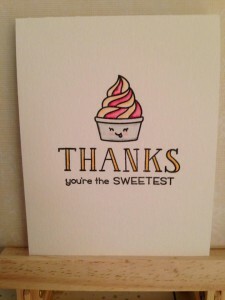 I needed Thank You cards to send out after Christmas. 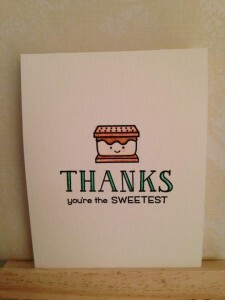 Luckily, I received the new Sweetest Friends stamp set as a gift, so I knew I was going to use that. Here are the designs I came up with. 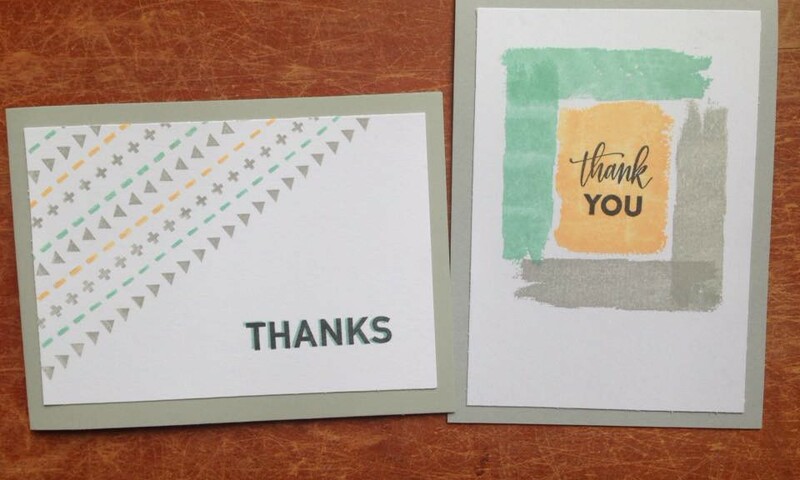 Extra Details: I began these cards by creating top folding A2 sized card bases from some water color paper. 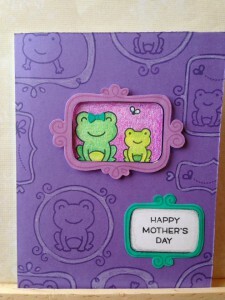 I stamped the images and sentiments in black ink and used clear embossing powder to set everything quickly. I used my Crayola Fine Line markers to water color everything in.